"This story of a woman's fight to rebuild her shattered life is captivating, heartbreaking and superbly written". Kathryn Brooker is the headmaster's wife. While her husband spends his days disciplining unruly teenagers in the grand halls of Mountbriers Academy, Kathryn spends hers baking scones for her son's cricket match in a beautiful cottage in the manicured school grounds. In the evenings, when her husband strides home to compliment her cooking and kiss her hello - ignoring jokes from their children about grown-up love birds - Kathryn Brooker is the very picture of a fulfilled wife and mother. Anyone who peered through the downstairs sash window at the four figures sat easily around their scrubbed-pine kitchen table would see a happy family without a care in the world. They would envy Kathryn her perfect life. But they would be wrong. Kathryn is trapped in a nightmare. And she is about to do something to change it. Something only a truly desperate woman would do. 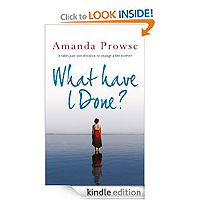 Amanda Prowse has done it again! Another heart wrenching story. But yet her novels aren't merely stories. They are not purely for entertainment. Mrs Prowse has a profoundly developed style of writing into which she immediately hooks the reader into the psyche of her characters. Having suffered domestic violence for a few years many years ago this story made me numb. At last women have a voice through Amanda's wonderful works. She equips her characters with hearts and souls that we can all recognise. We are these people and they are us and that Mrs Amanda Prowse is a remarkable talent. The transition of Kathryn Brooker to Kate Gavier is more than highlighting the journey of this woman. This book is an exceptional social study and psychological study of sacrifice and survival. This book confronts domestic violence and human subjugation head on, no frills, no fuss, just the raw cruel and seedy reality of what women endure on a daily basis. I was absolutely gripped throughout. Not one single paragraph is tiresome. This novel doesn't attempt to shock, on the contrary Kate never seeks sympathy as women who suffer this don't. Mrs Prowse tells the story for many women and indeed men. I want the world to read this book; for many reasons. One particular reason is that I feel this book can empower and heal. I thank you Mrs Prowse for writing and knowing some the emotions that even years later I couldn't make sense out of until reading this. A haunting novel, a story of truth, a pillow to rest upon; these are but a few things of what this book is. I downloaded this book on recommendation from a friend on twitter.i usually find that the cheaper books are good reads but nothing special. HOWEVER this book is fantastic with a good believable story that kept me hooked from start to finish. Witt every penny and more!! Having read Amanda's first novel 'Poppy Day', when I saw she had a new novel out I knew I had to buy it. The subject matter is at times shocking sometimes harrowing especially when you realise that what is happening in this book is sadly the reality for some women. Amanda's style of writing makes it so real that you feel like you are standing in the same room as the characters. It does leap backwards and forwards in time but I still found it easy to follow. By the end of the book, I found myself literally sitting on the edge of my seat willing Kate to finally have her happy ending... I literally wouldn't have heard anyone ringing my doorbell or phone when I was reading those last few pages.. An absorbing read that you won't regret. I found this novel profoundly disturbing, I was a bit annoyed with Kathryn for allowing the abuse to take place, but I realise that situations grow from a small insult to fully fledged abuse before you realise it. I also wanted her to stand up for herself with her children. 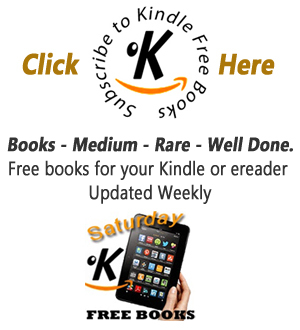 However, all this aside - I swayed between 4 and 5 stars as I actually enjoyed the book, and liked Kate/Kathryn. I did feel tears rising on a couple of occasions, and had great sympathy for her situation.